Whether you are a Buyer or a Seller, the agent you choose as your personal representative in the sale process is one of the most strategic and important decisions you make! Your agent must exemplify the personal attributes and qualities of fairness, trustworthiness, patience, and integrity. Your agent should enjoy a good reputation and relationship among peers and associates. Your agent should be a good listener and communicator. Your agent should possess the administrative, negotiation and sales skills that are necessary to ensure a smooth and successful sales transaction. Your agent should have a stellar reputation and history of past achievement. Your agent will define the tone and demeanor of negotiations which will determine the outcome. Your agent should embody the character and professionalism that you deserve. Your agent should add value. James Hancock’s trademark “A Name You Can Trust” embodies the value proposition of due diligence, discretion, client loyalty, and care that he delivers every client. This professionalism and a higher standard of care are what attracts people to work with James, resulting in his having built a large referral business over the past 30+ years! His personal touch, knowledge as an area specialist, local connections, reputation, and experience enables him to provide his clients with uncommon representation and results. A successful outcome is the hallmark of a winner. His business savvy and outstanding sales leadership have consistently earned him many TOP PRODUCER awards and distinguish him among the top 1% of all Coldwell Banker sales associates nationwide! Highly liked and respected by his peers and co-workers, he works cooperatively and competitively! 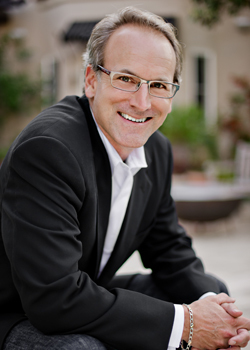 James lists and sells residential and income properties in the Greater Los Angeles area from condos to luxury estates.